Al Falah University won second place in the Intellectual Property Award for Schools and Universities for the year 2016 - 2017. UAE University triumphed at first place and Ajman University came in third place. 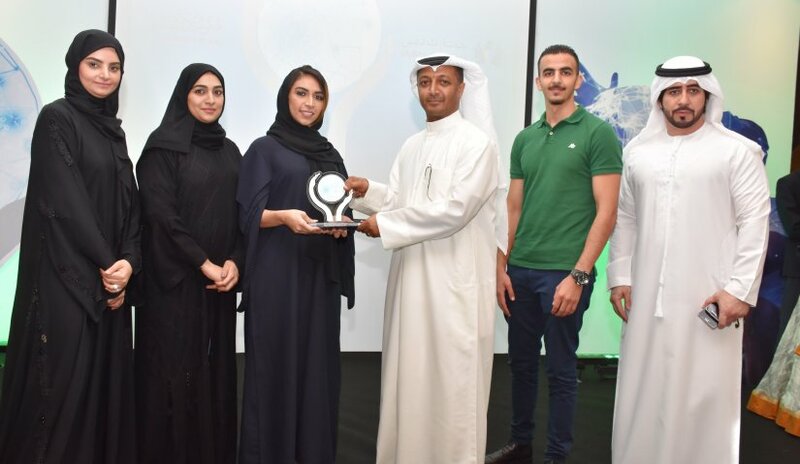 The awarding ceremony was held during the celebration of Dubai International Day for Intellectual Property under the theme "Innovation for a Better Life". His Excellency Sultan Ahmed Bin Sulayem, Chairman of the Board of Directors and Chief Executive Officer of DP World Group, President of Ports, Customs and Free Zone Corporation and H.E. Ahmed Mahboob Musabih, Director of Dubai Customs graced the event. AFU participated in the competition organized by Dubai Customs through student activities in the field of raising awareness among members of the UAE society about the need to protect intellectual property rights under the supervision of Dr. Ezzat Al Omari of the College of Law and Dr. Mustafa Kamel of the College of Mass Communication. College of Mass Communication Dean, Dr. Khalid Heneidi, stated that "Al-Falah University places the protection of intellectual property rights among its priorities by planting the concepts of protecting intellectual rights to students during lectures or through activities and events organized by the University." The Dean of the College of Law, Dr. Mohammed Al Desouky expressed his pride in the students’ achievements. The World Intellectual Property Organization (WIPO) has set April 26 as World Intellectual Property Protection Day and called on all institutions around the world to celebrate this day to reward creators and encourage them to develop their innovative ideas.